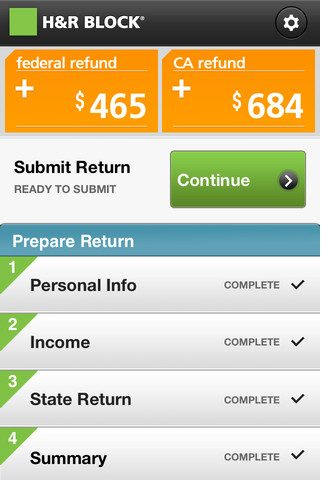 Provide a way for users with simple tax returns to file using their smart phone. Allow users to take a picture of their W-2 for simplified data entry. Enure consistency with online tax preparation application. Collaborated with visual designers to optimize the tax prep process for the phone. Figured out ways to simplify the tax interview that we used in the online product for the small real estate on the phone. Defined interaction for incorporating photo taking functionality into the W-2 interview. Average rating of 3.5 stars in both the Apple and Android App Stores.